When Arrow was first introduced, its use of the secluded island Lian Yu and heavy emphasis on flashbacks caused fans to draw a lot of parallels between this show and ABC powerhouse from a few years ago, Lost. 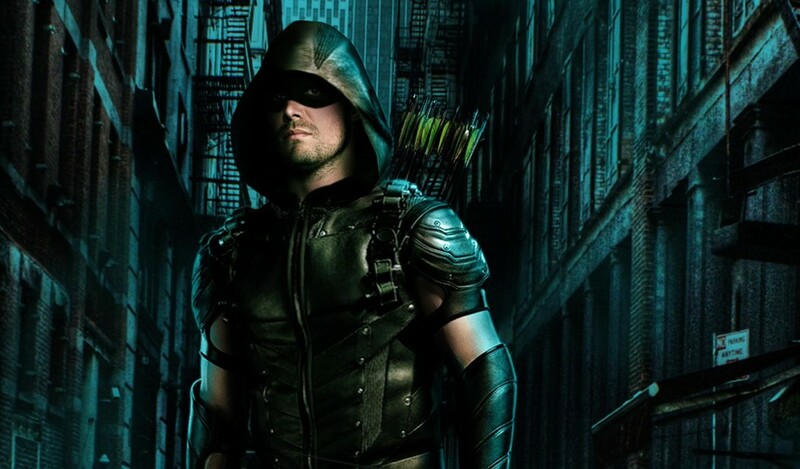 Now, some four seasons later, Arrow is also choosing to employ the same strategy Lost did by using flashfowards in addition to flashbacks to begin after season five. The flashbacks, which started as one of the strongest aspects of the show, slowly became less and less important to the plot during the third and fourth seasons to the point they were largely forgettable. In an effort to correct what the previous two seasons worth of flashbacks got wrong, flashfowards won’t be the only new tactic used during Arrow‘s sixth season, but in addition to Oliver, multiple characters will have their own flashbacks as well. It has already been confirmed that the upcoming season five will be the final season to focus solely on Oliver’s flashbacks, so in lieu they’re planning on opening up flashbacks to everyone. IGN spoke to Arrow EP’s Marc Guggenheim and Wendy Mericle all about Arrow‘s flashbacks (and forwards) and how they hope to improve them in future seasons. Guggenheim was the one to let it spill they might be using flashfowards during the sixth season. Will we get a chance to catch a glimpse of Oliver or Diggle in the future? Mericle then went on to say flashfowards are going to be a thing, but where their heads are really at now are flashbacks for multiple characters. She even said she’d like to do flashbacks for villains, which could be a cool way to get a better look at their backstory. It worked very well with Slade Wilson during the first two seasons. Guggenheim continued by finally admitting something all fans already knew: the flashbacks need to connect to what is happening during the present day to remain interesting. There is a small sense of gratification in seeing him say it though. Will Arrow start to fully utilize it’s flashbacks (and potential flashfowards) the way it did in previous seasons? Check out the full interview at the source below to make a judgement for yourself. In the meantime, let us know what you think about Arrow‘s future use of flashbacks in the comments! Didn’t particularly care for the flashbacks after the first season. They tend to be momentum killers and totally unnecessary…You’d think by the 5th season, the story-arcs would be flowing linearly. I thought they fit well in the second season two. After that, they’ve been a big waste of time. Actually I HATE those flashback! I mean, come on, that’s the dumpest idea ever! WHO CARES what happened in the past? Let’s just see if they still get another season after Laurel’s death. I, for one, am so not gonna watch it until they bring back the real Black Canary! Move on already, Katie Cassidy! I fast forward through the flashbacks. Are the showrunners under the impression that people are interested in the flashbacks?